Have you ever wanted to just do one specific task in Adobe Photoshop only to be stuck trying to figure it out? Let’s be honest here, there’s so much stuff in Photoshop that the average person can’t possibly learn it over night! It’s just impossible. I know when I first started I used to get frustrated because no one could answer my questions, none of my friends where trying to design stuff in Photoshop. After many year , when I became an expert with the program, I was finally able to pin point the specific steps I needed to accomplish specific tasks… after all, knowledge is key. Once you know how to get what you want it’s easy but let’s face it, it’s not everyday that you want to pick up a new skill just because you now have an urge to design. This is where it brought me today; now everyone I know is asking me how to design t-shirts and logos. 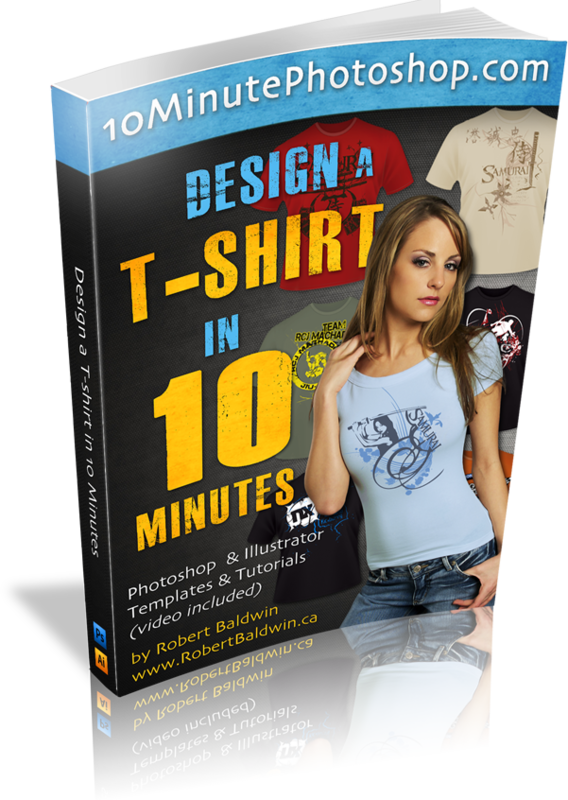 Design a T-shirt in 10 minutes is a compressed Photoshop training series that focuses strictly on the tools needed to design a professional t-shirt from scratch and then prep the design to be printed on fabric shirts. In addition to the tutorials, you will receive crucial information about the t-shirt printing process and how to calculate prices and design accordingly. ✅ Creating a template file. I can’t beleive it! Rob put something together that I could only dreamed of. Finally someone who knows what I was trying to do. By seeing his product, I was able to save my precious time and get the job done. Thanks Rob! This training series is perfect for anyone who wants to design their own t-shirts for their business, a club or organization. Follow me step by step, literally over the shoulder, you get to see my computer screen while I do the design and explain every single step that I use and again, in less than 10 minutes. I’ve spent years learning Adobe Photoshop so you don’t have to! Now Learning Photoshop in its entirety can be quite exhausting and complicated. This product will show you exactly how to design your own t-shirt. You get the Video Training which is you watching me step by step as I design a t-shirt. 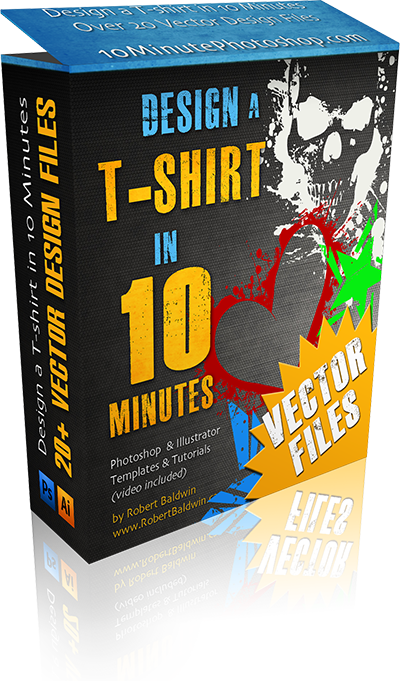 You also get the eBook Training which is the insider secrets on how to design a t-shirt, which of the 3 methods is best for you, how to determine pricing, and much more! Since I know it’s 100% to your benefit to act right away, I want to sweeten the pot and give you every possible reason to say YES today! YES today! 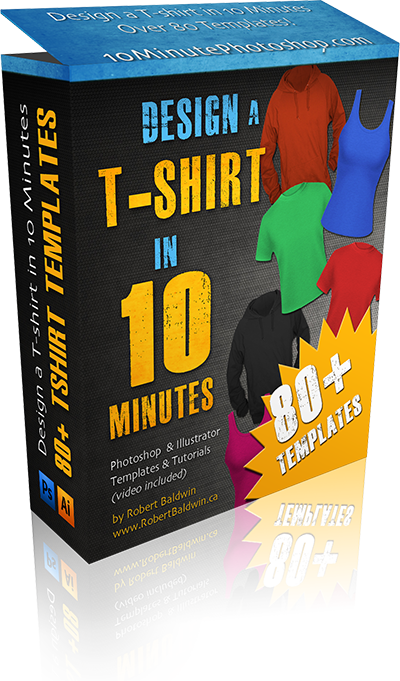 BONUS #1 Template Pack: Over 80 shirt design templates! BONUS #2 Vector Pack: Over 50 design files! Low pricing for a limited time only! That’s right, this product is so cutting edge that we are in beta pricing right now. As soon as all of our statistics our in, we are considering bringing the price back to a normal market value between $97 to $127. Professional t shirt graphic design can cost you $150 – $400 for a custom t-shirt design, I know, it’s what I charge! Act today while you still can get the best price on the market click on buy now. Look at it this way — $$67 is really a painless drop in the bucket to be able to get your hands on Design a T-Shirt in 10 Minutes and start using it right away to design your own T-shirt.